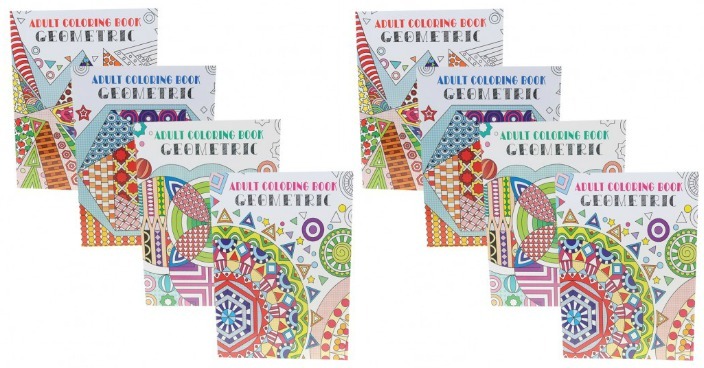 Geometric Adult Coloring Book Just $5.99! Down From $20! Ships FREE! You are here: Home / Great Deals / Geometric Adult Coloring Book Just $5.99! Down From $20! Ships FREE! GearXS has this Geometric Adult Coloring Book on sale for $5.99 (Reg. $20) + FREE shipping! Plus you can pick up these coloring books for As Low As $3.33 each When You Buy 3! Return to the simpler days and loose yourself in the pages of this geometrical coloring book. Featuring 24 pages of intricate geometric designs, you can experience the meditative effect of bringing each page to life with color. Each page has perforated edges, printed on one side only for easy removal and display. The joy of completing a colorful masterpiece does not have to be left in your childhood. Escape into these fun pages and relieve stress at the same time. b!